You deserve to love every part of your look, from your head to your toes, and we take pride in helping you do that. With a friendly and relaxed atmosphere, as well as an experienced and talented team, you can be sure that you are in great hands. Paying close attention to your desired look, we will tailor your nail experience to you, ensuring that you leave not only looking, but feeling like a million bucks. At Upper Cut Hair Design we use only the most professional nail products. The CND Shellac brand is a 14+ day long wearing chip resistant formula. Pamper yourself today with a Spa manicure or Spa pedicure with a Shellac Gel Polish finish for long lasting nails. We have a variety of colors to choose from or you can go with the “French Manicure” or “French Pedicure” for a crisp, clean look! If you would like to schedule an appointment, or if you have any questions, comments, or concerns regarding our nail services, call us today. 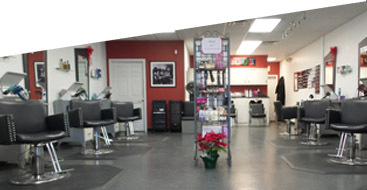 To save time, you can even book a manicure or pedicure for while your hair color is processing! We look forward to making your nails look as fabulous as the rest of you.